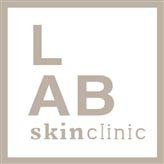 Eczema Treatment at LAB Skin Clinic, Neutral Bay, Call 9909 3602, can significantly reduce and eradicate: Eczema, Psoriasis, Xerosis Cutis, Dermatitis, Atopic Eczema. Whatever name you give this dry skin condition, it can be painful, unsightly and distressing to the sufferer and can interfere with normal daily activities. Call in for a complimentary consultation, or phone 02 9909 3602 to discuss your concerns, or click on the link below to make an appointment. Most sufferers have a genetic predisposition, the severity of which is affected by environmental and immunological factors. Many people with eczema also have existing atopic respiratory disorders, such as allergies and asthma, which exacerbate the condition. So, what exactly causes eczema’s erythematous patches? In brief, a weakened and easily-comprised skin barrier. Your skin contains a protein named filaggrin, which moisturizes the hardened, outermost layer of your skin and cornifies (hardens) cells in the epidermis. In eczema sufferers, filaggrin is often mutated to the point that it cannot properly hydrate the skin or fortify it against external irritants, thus making it more susceptible to inflammation and dehydration (Journal of Clinical, Cosmetic, and Investigational Dermatology). Clinical evidence has also linked staphylococcus aureus infections with outbreaks of atopic eczema. Dried skin typically lacks adequate water and lipids, with the latter exhibiting both moisturizing and antimicrobial properties. Owing to their compromised skin barrier, eczema sufferers’ skin often lacks antimicrobial peptides and the processes by which immunological responses are activated against invasive external particles. These factors, combined with the skin’s dried, erythemous lesions provide a fertile environment for the staphylococcus aureus bacteria to proliferate and further compromise the skin’s barrier and inflame the skin. Whilst there is no method of permanently curing eczema, we can eliminate the symptoms, although various triggers, such as stress or illness can cause a flare-up. Treatment will usually combine multiple modalities comprising: Omnilux LED therapy, Body Boost Bed, Body Boost Bed, bio-available supplements (especially Vitamin C and Omegas 3, 6 & 9), micro-needling with growth factor, and topical moisturisers such as AminoGenesis Cocoon. We recommend applying AminoGenesis Cocoon multiple times per day directly onto the dry patches for instant and ongoing relief. AminoGenesis Cocoon moisturizer is packed with 17 amino acids and several silicones, which increase hydration, fight inflammation, and can even boost levels of antimicrobial peptides in the skin. Its formulation also includes dimethicone, which is a hydrating and conditioning silicone that acts as a skin hydrator and cellular turnover accelerator, which helps to fortify the skin barrier and slow the rate of trans epidermal water loss and general loss of moisture. Come in for a complimentary consultation and tell us what you concerns are, or book a more thorough skin diagnostic evaluation on 02 9909 3602 to find out how you can have healthy and youthful looking skin… and relax, knowing you’re at the right place. Call in for a complimentary consultation, or phone 02 9909 3602 to discuss your concerns, or make an appointment by clicking on the link below.